Display Ready Packaging is Here! Home » Blog » Display Ready Packaging is Here! Your ketubah will now arrive in brand new display ready packaging material ready to display at the wedding. The package will ship flat with two boards of lightweight PVC. It is extremely durable, flexible, unbreakable, lightweight, water resistant, and easy to clean if it arrives mistreated by the courier. A quick wipe with an alcohol swab and it will look brand new. Your ketubah will arrive temporarily mounted on the inside (note: the ketubah does not come framed). All you have to do is open the package, remove the tape from the outside, and simply prop it on an easel for display during the wedding. 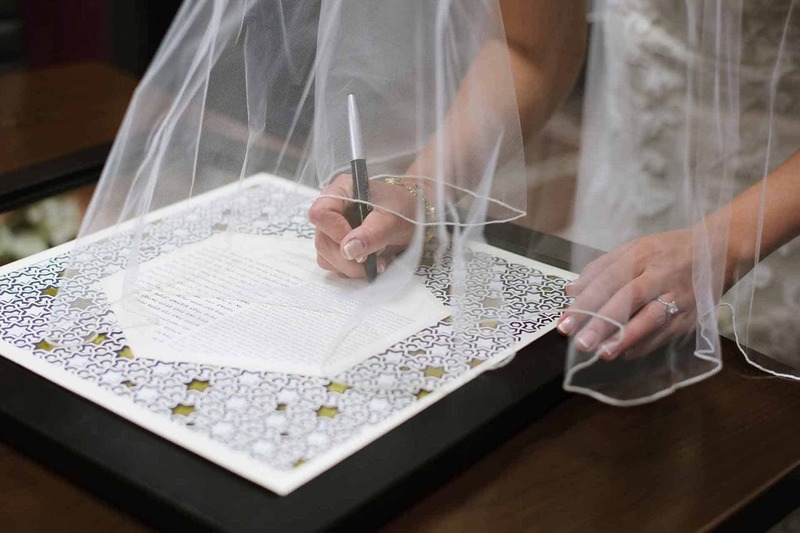 The ketubah itself will be inside of a transparent polypropylene sleeve, which will protect it from accidental wine spills or people’s fingers during the ceremony and reception. It is easy to remove the ketubah to sign, and just as easy to put back in. 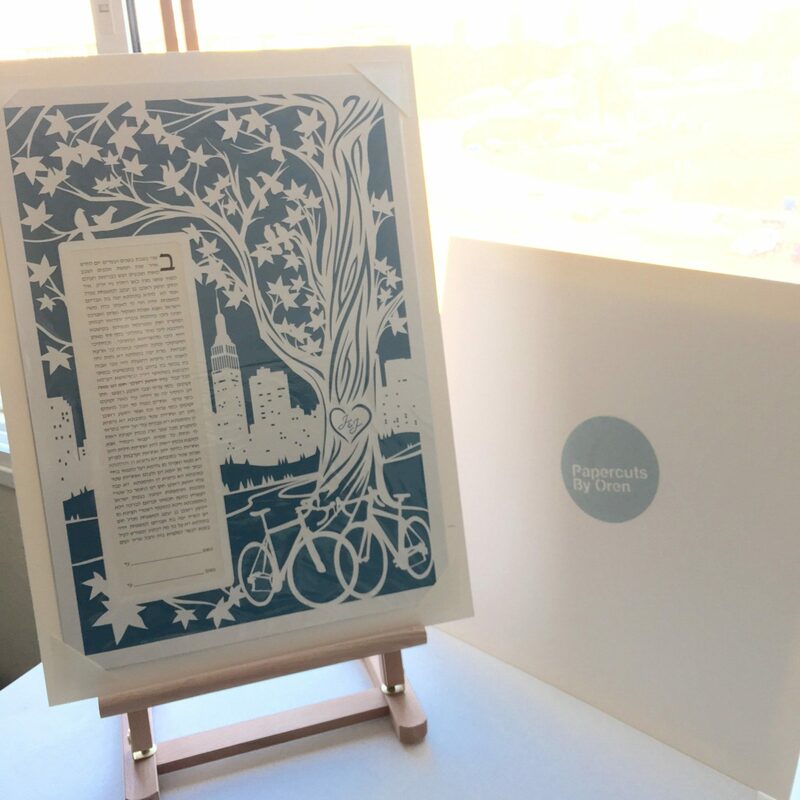 The package also makes it easy to transport your ketubah to the wedding or to your custom framing shop. You will not have to worry about anything happening to it and you will be able to handle it with confidence, without fear of damaging the papercut inside.